The last days of February are my final moments at the helm of m:lab East Africa - the m:lab. Its now 4 years since I took up a challenge from the m:lab consortium comprising iHub, eMobilis, University of Nairobi and the World Wide Web foundation to setup and run programs at the m:lab. 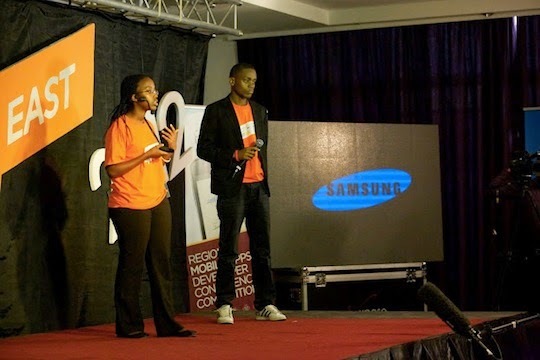 Back in February 2011, the consortium had just won a much coveted opportunity to host the East Africa instance of infoDev’s mLab concept. Other World Bank supported mLabs would be in Southern Africa (South Africa), Eastern Europe and Central Asia (Armenia), East Asia (Vietnam). The South Asia mLab in Pakistan would not quite take off. Hype and Substance: Helping to sustain interest and to create hype about applications, entrepreneurship and start-ups in mobile technology was fulfilling. Apparently this may have been at the expense of other IT sub sectors - an outcome that we did not quite anticipate. The ICT Authority and iHub were co-protagonists in this. The substance would always come behind the hype, and that may continue to be the case - see the authoritative video opinions of hype and substance in the East African Context as discussed during PIVOT East 2014. 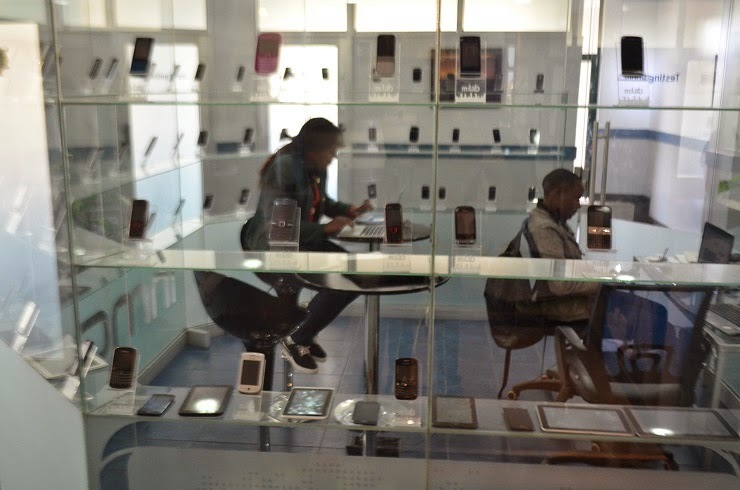 Brand Building: Building and curating the m:lab East Africa and PIVOT East names into strong formidable brands as regards mobile innovations and start-ups was quite an achievement. Apparently these two brands are strong offline among software developers, corporates in the mobile space and international development agencies. The brands are quite strong in the social media space but their following on Twitter, Facebook and LinkedIn would be a more objective metric to look at for those with interest. For PIVOT East, a home grown brand to compare favourably against the entry of fairly established brands such as DEMO, Seed Stars, Sankalp, Startup Sauna and others, our team must have done very well. Interventions for startups: Discovering, and supporting some top next generation high growth start-ups has been fulfilling. To name a few, without any order of remembrance or preference, we have supported Kopokopo (9 months), Totohealth (10 months - ongoing), Eneza Education (24 months), Mfarm (24 months), Uhasibu (24 months), Ma3route (18 months ongoing), MPayer (24 months), MTL / Mshop (24 months - spun off Sendy) and MedAfrica (9 months). PIVOT East program: I have seen many alumnus of our four year old PIVOT East program go on to succeed or learn lessons to build great new startups. Somehow I had a soft spot for Tanzanian start-ups such as Go Finance, TiME Tickets and Ubongo Kids and they have not let us down. Overall the PIVOT East program has grown beyond being a potentially "hit and run" conference to a substantive start-up acceleration program and support network. Seeing finalist start-ups from Uganda, Tanzania, Kenya and most recently Online Hisab from Ethiopia has been quite satisfying. Seeing some start-ups prudently utilise the little PIVOT East linked funding coming from our modest surpluses was always gratifying. Worthwhile Experiments: With the immense latitude allowed by the board, we experimented with virtual incubation, a secondary incubation site at the GreenHouse (supported by Nokia) and the mobile impact ventures program focusing on Agriculture, Education and Health startups supported by both Tony Elumelu and Rockefeller Foundations. Through these experiments, we are proud to have supported startups such as Ma3Racer, Fomobi, Lipisha, Elimu, Totohealth, Tuma Karo, Smart Farmer, Sokonect, and tens of others I forget. The experiments in startup incubation got us lots of lessons to reflect on and apply in future programs as the significance of the in-residence type of start-up interventions diminishes. Another experiment that would become quite a success and a regular fixture for us would be the "Wireless Wednesday" program. The regional ICT4ag competition we organised for CTA was quite fulfilling seeing that startups involved such as Ensibuuko and FarmDrive are going strong. Ecosystem Partnerships: Unknown to many observers, running the m:lab and any other start-up friendly initiative is a very entrepreneurial role. 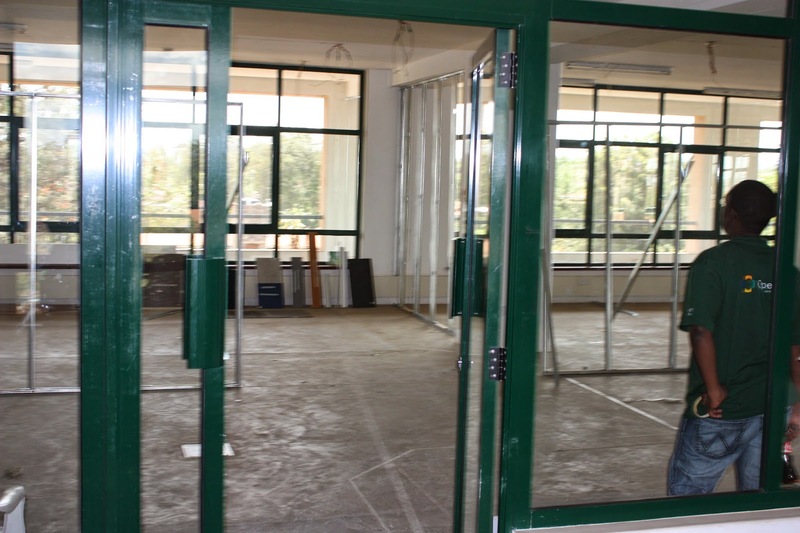 Keeping the m:lab doors open during and after the modest but critical grant from infoDev (the World Bank) was always a challenge. This meant dreaming up and pursuing intricate value conversations with industry players. Over the four years we have had a wide range of fruitful partnerships and collaborations with infoDev (World Bank), Chase Bank, Samsung, Nokia, Microsoft, Intel, Qualcomm, Facebook, Motorola Solutions (Now Zebra Technologies), Motorola Solutions Foundation, Safaricom, Seacom, USAID, Mercy Corps, CTA, The Global Impact Investing Network, Omidydar Network, CGAP, Crowd Valley, Savannah Fund, Viktoria Solutions and ACCION. There's other partners I will beg forgiveness for forgetting to mention. Having numerous high value individual volunteers may easily be the single biggest reason we achieved our apparent successes. 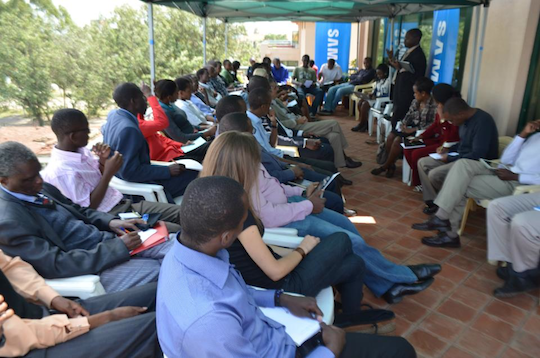 These included business coaches and mentors from across East Africa and across the globe. Experiencing such generosity with people's valuable time always reminded me that the world has good people. applications developers. As opposed to our other programs, these trainings admitted individuals and not start-up teams. The trainings have mostly covered technical skills coupled with entrepreneurship, a bit of user experience design skills. The success of this program may be symbolized by the number of start-ups that were formed as an inspiration if the program such as mTracker and mVerified. Many got scholarships to Strathmore University's Msc program and many improved their employment chances. Surprisingly many created almost passive revenues ranging from $200 - $2,000 per month from apps used internationally from app stores - especially the Nokia store. 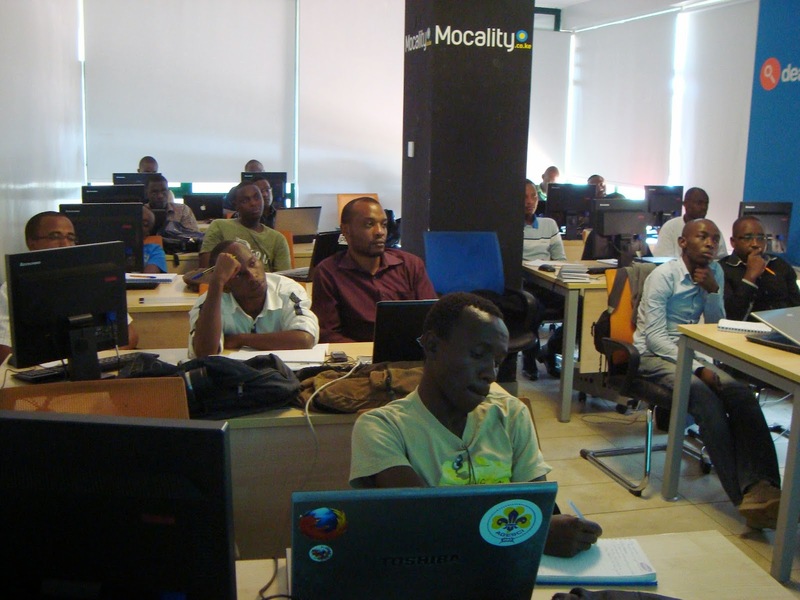 More evidently however, the program's success is symbolized by MobiDev Solutions, a consulting outfit that sprung out of the fourth wave of the infoDev sponsored training late 2012. About ten of them dared me to support them as they created a mobile software consulting outfit. That would be a difficult gamble on my part as they would not meet my purist definition of a start-up. I can now bet on them being one of the biggest software consulting outfits in the region - in the next couple of years. The seed fund that would become: Soon after concluding the first edition of PIVOT East in 2011 - then named PIVOT 25, I was convinced that a long term and more sustainable revenue model for m:lab would include success sharing with supported startups. This to me would ultimately be strengthened by coupling our intervention with seed capital for startups through our own investment vehicle. That continues to be our much envisaged but not exactly executed sustainability strategy. To be fair, we have ended up making some micro-investments thus far. However, many might argue that an embedded fund has never been necessary for m:lab. Perhaps in future I shall get a chance to blog more about the many lessons learned while trying unsuccessfully to set up this fund. Financial Sustainability: I like to laugh away at how in our first set of strategic objectives, we envisaged for m:lab to be financially sustainable within the first one year. In hindsight, I would consider the thought that I treated financial sustainability for the m:lab as a sprint rather than a marathon. There are some value propositions, materializing or otherwise that I would have been better off monetizing gradually and incrementally. Inasmuch as we have made progress and de-risked much of our business model, the m:lab remains a startup in that we may not have arrived at a repeatable and scalable business model. Applications testing and the famous sandbox: Whenever developers complain to Safaricom and others about the absence of a sandbox for testing USSD and SMS apps, I always looked down thinking how much we at the m:lab were best placed to make the sandbox a reality. I could try and explain this failure away but the fact is mobile developers in the region (at least Kenya) do not have an affordable, reliable way of testing low tech mobile applications for which the market is very ready. Our famous testing room is a great and useful resource although I would have loved to see more developers scheduling time to test phones. The m:lab team continues to learn about these things. Rusty Blogging - Considering I am the long-post type of blogger, the hustle and bustle of running m:lab took its toll on my ability to churn out as many blog posts and reflections on the startup ecosystem as I wished to. Working with numerous startups and industry players has a way of highlighting key patterns and trends about teams, product development, and the market structure. The article I wrote early 2014 on startup team composition is perhaps the best I did to share my synthesis of these patterns and trends. I regret that I didn't write more to capture the wealth of such insights through blog articles. Apparently, the article on estimating startup market size through Facebook audience insights didn't generate as much interest as I thought so it may be yet another challenge to bring the right startup topics to the fore. Weak government linkages - Perhaps having been part of the Kenya government system has a way of keeping one away from government relationships. I did some time as part of a government system before getting the the m:lab. For the most part while at the m:lab, I failed to adequately pursue collaboration opportunities with Kenya government institutions such as the ICT Authority, NACOSTI, CAK and the ministry of industrialization and enterprise development. In general I was not a government connections guy and that may have cost the m:lab much. There's many successes and failures on my part that I don’t remember. I shall let readers here guess and comment on these that I forget or conveniently fail to share. The m:lab has great prospects! The board and team I leave behind are great! Building on our successes and failures will open a new chapter for the m:lab and its affiliates for its prosperity in the next couple of years. As for me, I enrolled for doctoral studies at the University of Nairobi back in 2013. Currently my research area traverses information systems, entrepreneurship and agriculture in somewhat unrealistic ways. Its been quite an evolution and a while now since enrollment and its told anecdotally that over 60% of people who start such studies the world over don't complete to graduate. 2015 is the year I have set aside to improve my chances of falling on the 40% side. I shall remain a strong exponent for tech startups in the region. Perhaps I shall also drink more water than wine in an economic space where entrepreneurial ventures are our best chance for emancipating our masses from poverty and injustice. My reflections would be incomplete if I did not mention that working with Erik Hersman, Ken Mwenda and more recently, Josiah Mugambi who represented co-leads of the m:lab consortium was the most supportive and reassuring aspect of running the m:lab. Toni Eliasz and Dr. Tim Kelly from infoDev (World Bank) were another great source of encouragement.